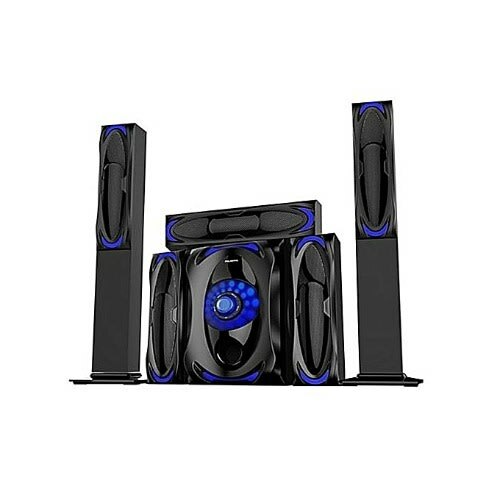 Fill your house with the sounds from the new polystar Home Theatre PV-903-5.1ch. The design is elegant and the sound is superb. Polystar is a superior brand in the electronics and home appliances sub-sector of the Nigerian market. The product over time has carved a niche for itself in the highly, dynamic and competitive electronics and home appliances market environment through a combination of its superior quality and affordability. The Polystar range is supported by viable sales & service centers and a 1 year warranty. Their philosophy is to ensure that their products are reliable, innovative and affordable.